While I was researching the background for Winter Rose, the somewhat mysterious but compelling Cherokee woman who is introduced in the first book, I spent a lot of time in Cherokee, North Carolina, the home of the eastern band of the Cherokee nation. If you ever get a chance to visit, go by all means. The Cherokee story, like that of all Native American tribes, is heartbreaking. Our treatment of American Indians has been one of the world’s biggest screw jobs from the start and the tragedy continues today in many ways. In spite of their hardships though, the Cherokee nation is thriving, fascinating and welcoming. Aren’t they great? 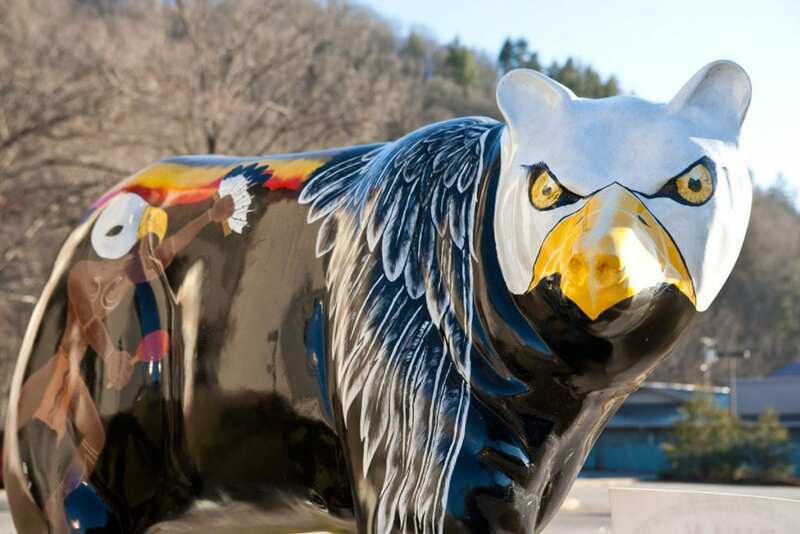 I like them all, but the Eagle Dancer Bear is my favorite. 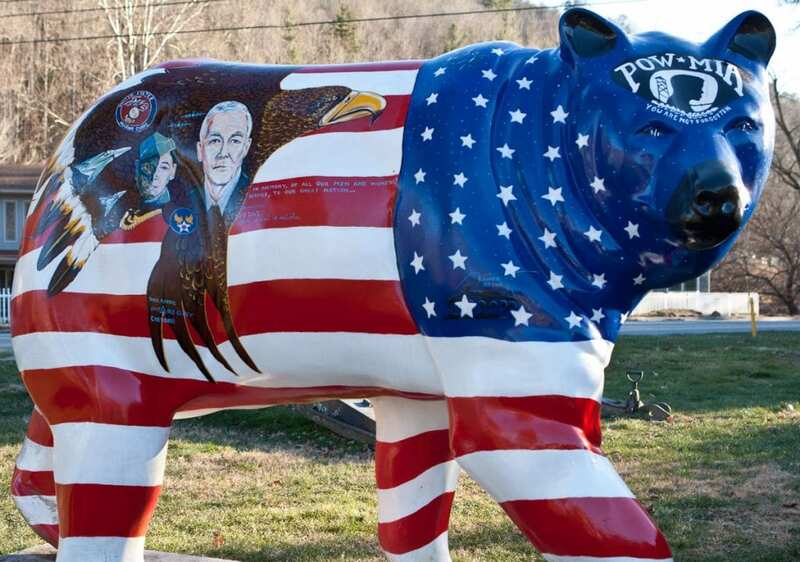 I’ve seen similar programs in other places – like Coeur d’Alene Idaho’s painted moose statues. 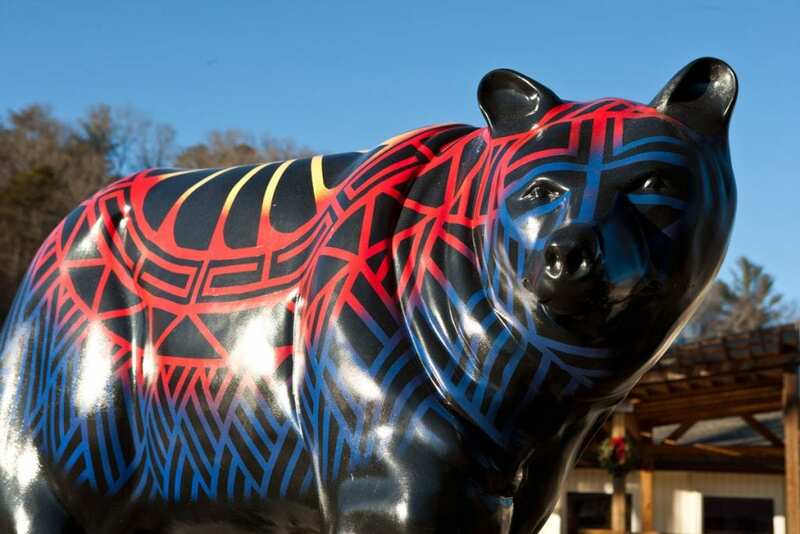 The Cherokee artists did an amazing job of using the bear statues not just as art, but to also highlight their culture.